We have a standing joke in our house. About four years ago my father-in-law kindly bought us an irrigation system for the garden – a very nice one, with a hose and individual little sprinklers. Since then, every time we plan to install it, nature responds with prolonged rain that makes it entirely unnecessary. The irrigation system sits unopened in the shed, and we joke that even to mention it will provoke an inevitable downpour. The early spring was fine and warm, and we’re officially in a drought here. 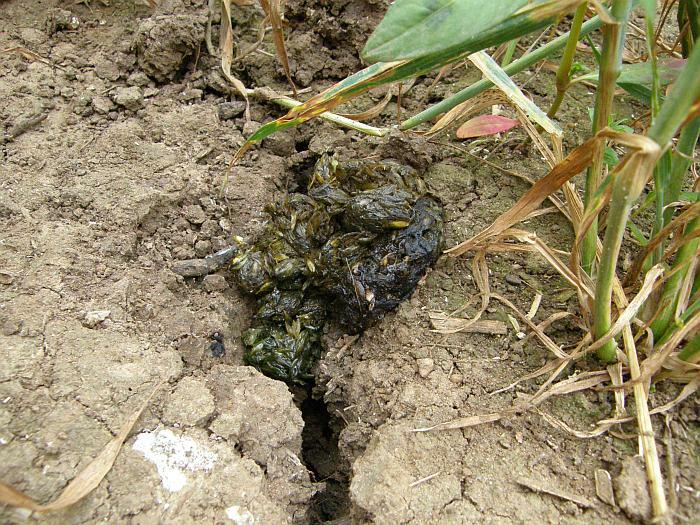 But last week we talked about the irrigation system, with predictable consequences. It’s been torrential rain all week. Since my last badger watching trip in the rain (in which I vowed never to do it again) I’ve made some adjustments to my kit. I’ve improved my waterproof camera cover and bought a lens hood to keep the rain off the front of the lens. This means that I no longer need to shelter the camera under my coat. I’ve even bought a new pair of waterproof trousers (from my local country and outdoor store, Rugged and Tough in Hockliffe – an Aladdin’s cave of quality clothing and accessories), which takes care of my bottom half. All this is was useful, since by 7.00pm I was sitting in a tree under a heavy shower and with a cold wind blowing in my face, but pretty warm and dry. 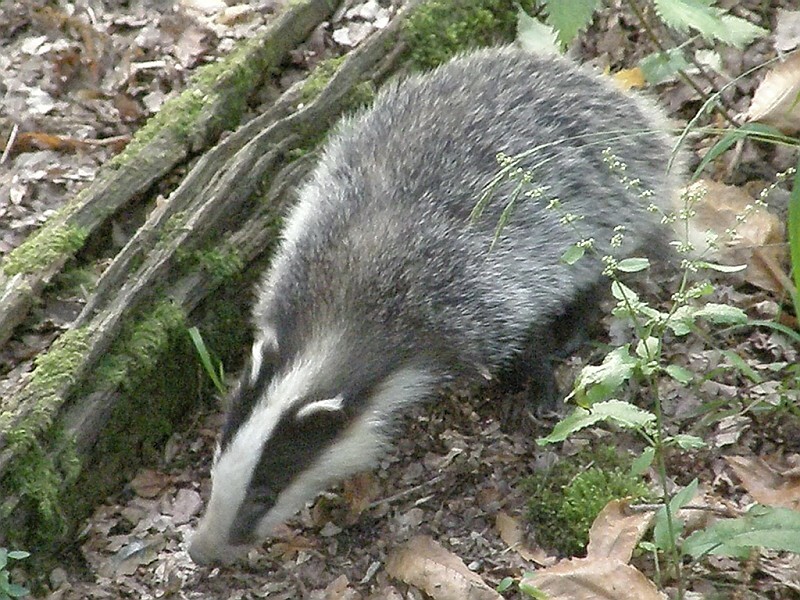 I wasn’t expecting much from the badgers in this sort of weather, but I’ll take any chance to get out and get watching, especially since it’s the season for cubs to be emerging, if there are any. 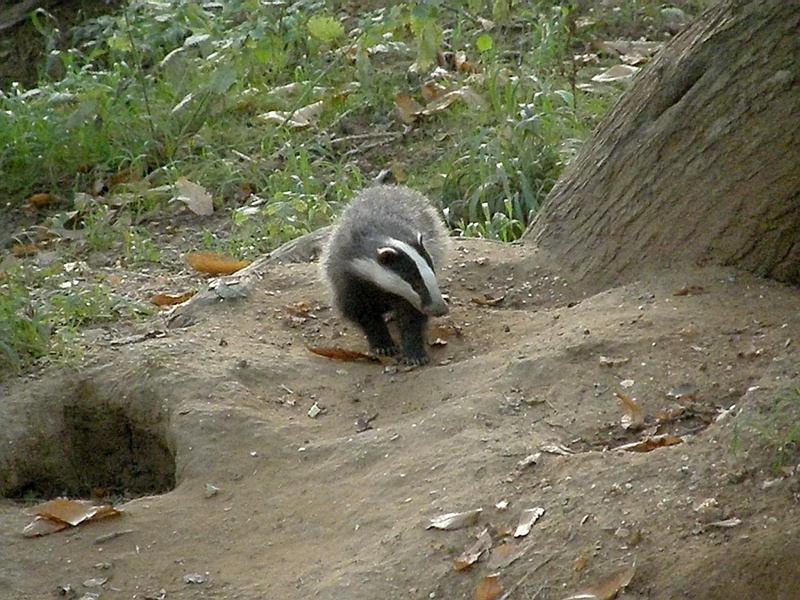 As the church clock struck 8.00 and the light was fading, a badger popped up from the west end of the sett. Aha! 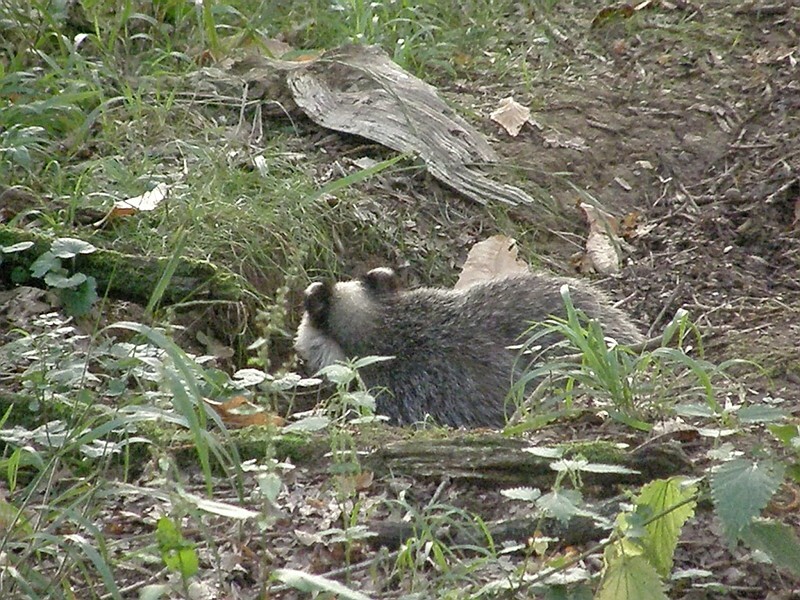 So this end of the sett is occupied again. 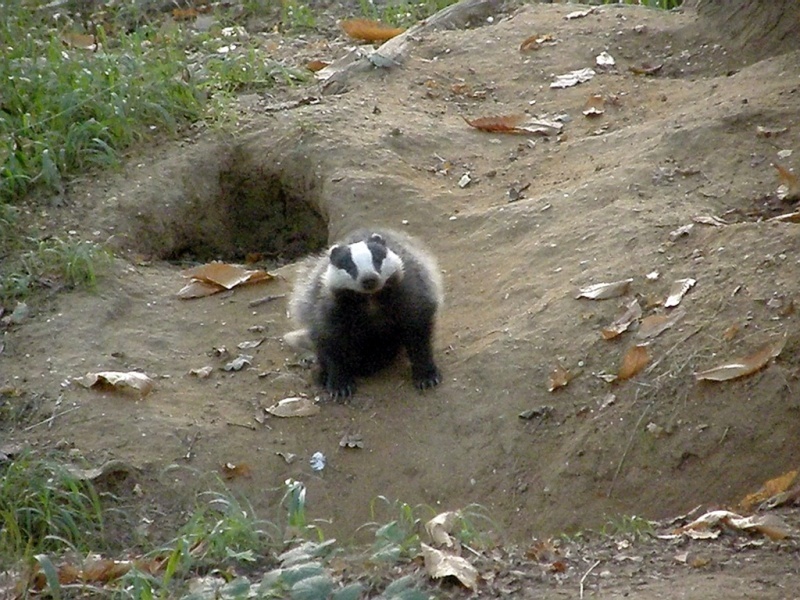 A quick scratch and a visit to the latrine site, and at 8.15 it was joined by a second badger, this time a young cub. 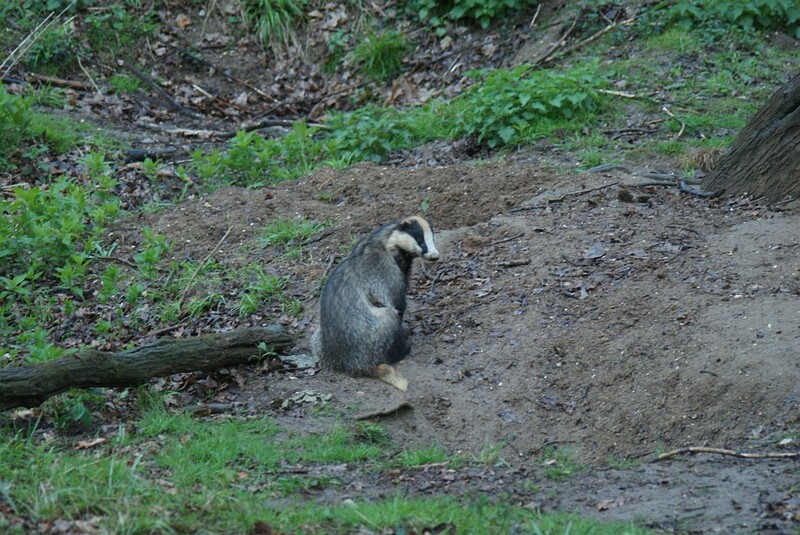 This is good news, as the sett can do with a few more badgers. 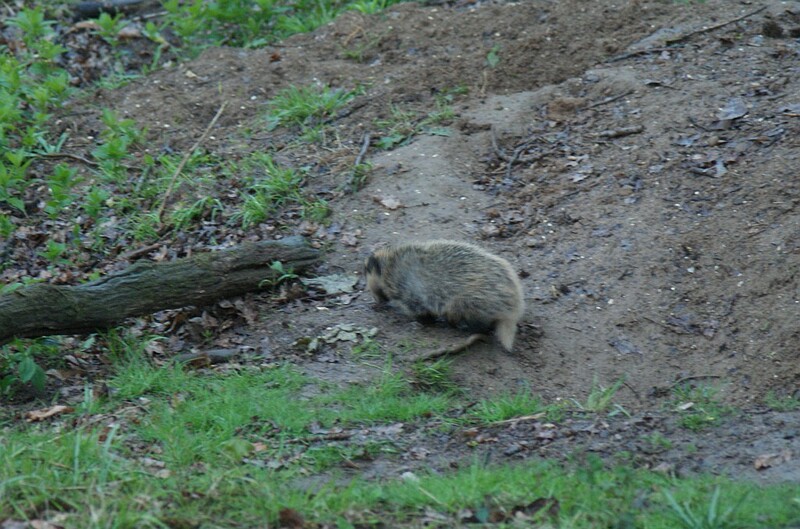 The cub didn’t move far from the entrance to the hole, as I’d expect at this time of year, and it went back underground after 5 minutes or so. It was a little camera shy and I couldn’t get a good picture of it, but it was good to see it. 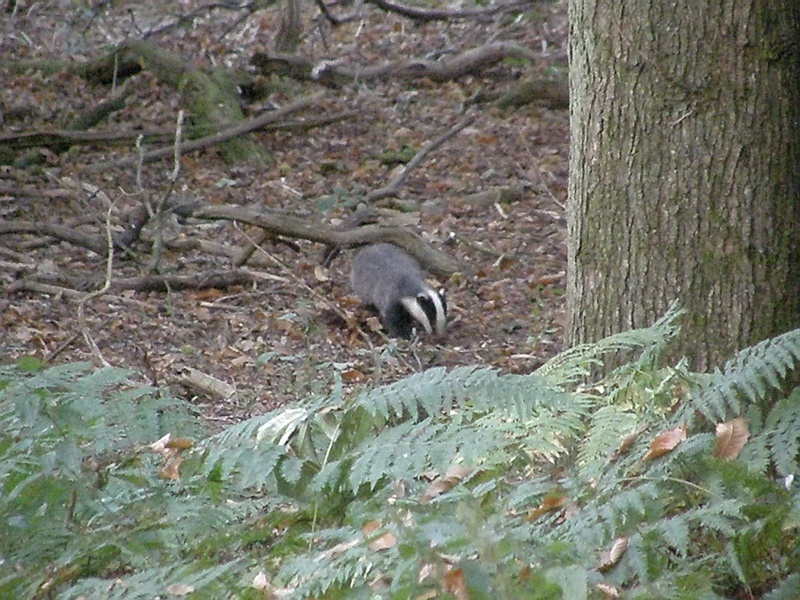 Another badger came out from the east end of the sett at 8.30 and trotted busily around the undergrowth, but by this time the light was pretty much gone. I’m glad I didn’t stick to my resolution of staying inside when it rains. 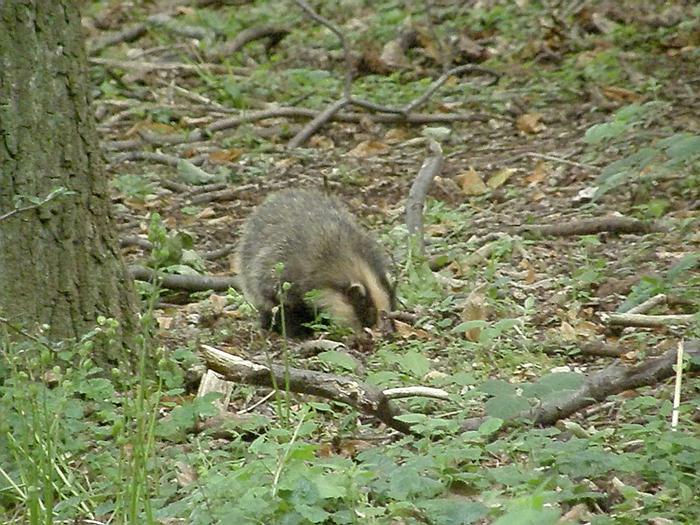 I don’t know if there are more cubs, or whether any new badgers have joined the sett, but at least I’ve seen the first cub of the year.